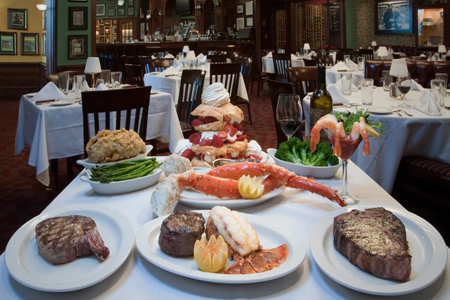 Vince Lombardi's Steakhouse opens at 4pm daily. 388 room full service hotel. 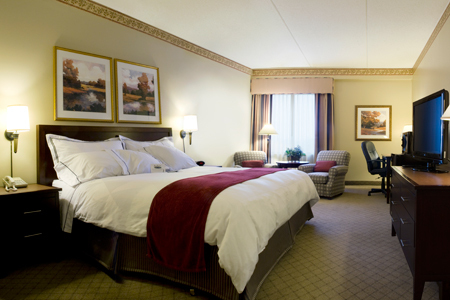 12 suites, 4 whirlpool suites, 52 room concierge plaza level rooms. 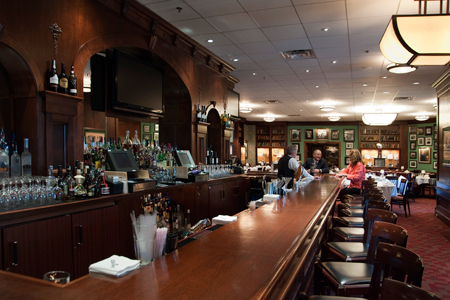 5 food and beverage establishments that include award-winning and highly acclaimed Vince Lombardi's Steakhouse, the Orchard Cafe, the Clubhouse Sports Pub, intermezzo tropical lounge with outdoor deck and courtyard, and Jo ala Mode coffee shop serving Starbucks coffee. 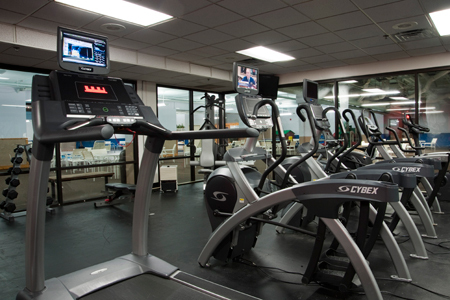 Hotel also has an indoor pool, whirlpool, and sauna and a 24 hour fitness center for guest's recreation needs. 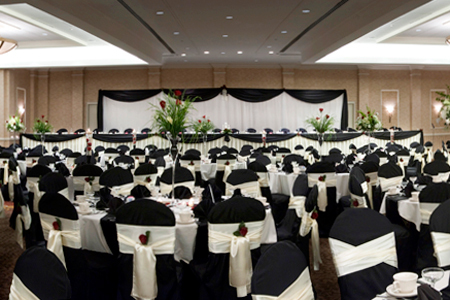 The hotel offers a 24 hour airport shuttle service and has a 24 hour business center and business center services available for hotel guests. 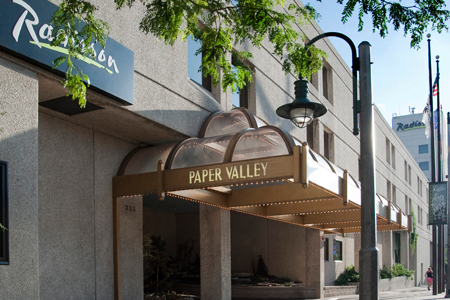 There are two covered city-owned parking garages attached to the hotel that offer convenience for our guests. 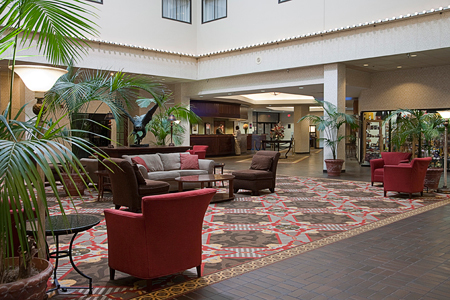 Located in the heart of downtown Appleton's arts and entertainment district, there are unlimited opportunities all within walking distance of the hotel. 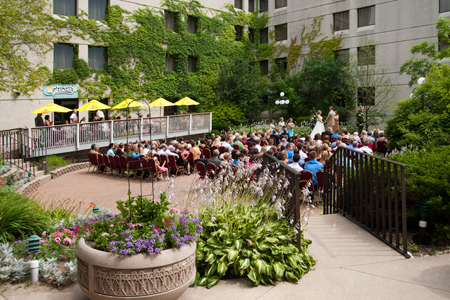 Included in our downtown offerings are the adjacent 2,100 seat Fox Cities Performing Arts Center that hosts outstanding Broadway and various other productions, over 50 restaurants and night clubs, over 30 retail and boutique shops, and several museums. Walking trails and parks abutt the hotel. 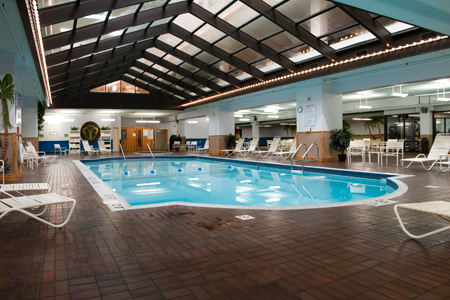 At our hotel, there is something for everyone.